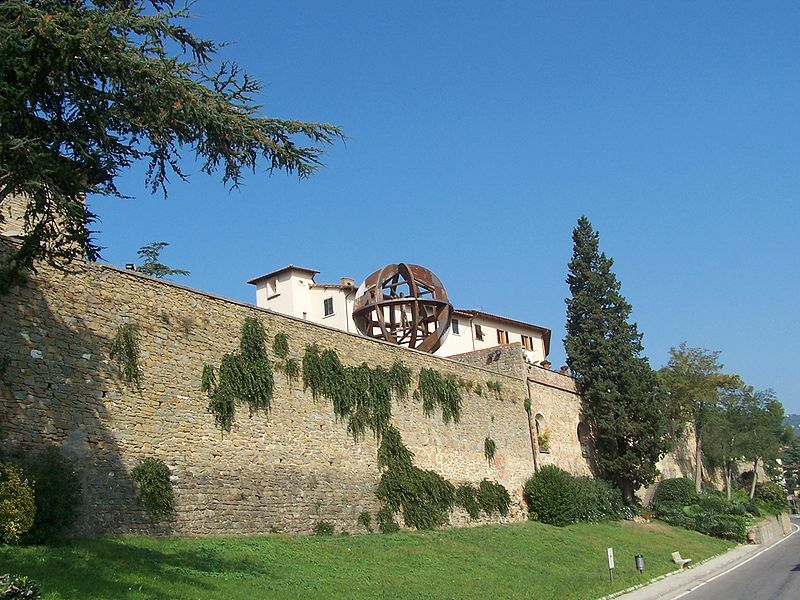 Best known for its most famous son, the Renaissance giant Leonardo, Vinci is a quiet hill town, whose narrow streets and surrounding vineyards and olive groves are much the same as in Leonardo’s time. The houses cluster around the medieval stone tower known as the Castello dei Conti Guidi in an elongated shape much resembling that of the hull of a ship. In the following days these streets will undergo a massive change thanks to a series of countless events, unfortunately too many to mention. Saturday 28th and Sunday 29th July the town will be packed with ‘strange’ characters participating at the Unicorn Festival, a medieval fantasy role-playing event, now at its 8th edition. The historic centre will be transformed into a new imaginary town, split into 5 sections where adults, children, fantasy lovers, cosplayers and comic-strip enthusiasts will quickly find the event they’re interested in. Together with the usual blend of road shows, live role-playing, comics and cosplay, which have made the Unicorn Festival unique in Italy, the organizers have devised more performances so as to involve all ages, as well as aficionados and simple onlookers. Reconfirmed are the Challenge of Magic Arts, the Best Fantasy Creature Contest and “Fear Alley”. Even for those not interested in dressing up, this is certainly a good chance to see ones heroes ‘live’ and catch a snapshot. During the weekend will also be held Vinci Comics with the exhibition “The War of the Worlds and beyond… ‘future’ projects!” with science fiction Italian comic book “Nathan Never”. Appetites will be whet at the Obelix’ Haunt, the Gladiator’s Inn and at the Prancing Unicorn, where visitors will eat Tuscan delicatessens surrounded by elves, fairies, dames, knights and much more! 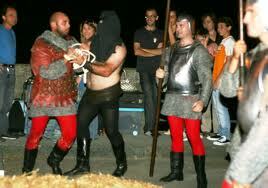 Sunday 29th July will also be the day of the historical challenge of the Tenzon di Palla, the Ball Combat, which will see the Yellow Winged Griffins of Upper Vinci ‘duel’ against the Red Rampant Lions of Lower Vinci. 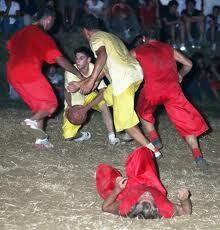 A cousin of the Florentine Kick Game, the combat is always played in July when many flock to Vinci to follow this spectacular game between youths proud to preserve local tradition. Will this year the Yellow Winged Griffins succeed in interrupting the Red Rampant Lions’ supremacy of the last few years? On Monday evening, 30th July, there will be animation and entertainment for the children in one square, whereas in the castle’s square adults will be enthralled by the jazz show “The Roar at the Door Quartet”, or in the Castle’s coffee house can follow the meeting “Write, read, taste – Writing is good for the health”. Much more goes on during the evening as well as on Tuesday, with the Gran Prix bicycle race of Vinci, a tribute to the Blues Brothers and the comic show “An Evening at the Abattoir”. Last, but certainly not least, Wednesday 1st August winds up all the events with the Flight of Cecco Santi, il Volo di Cecco Santi. 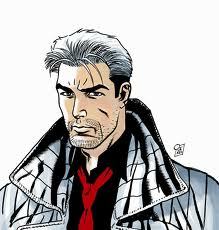 Legend says Cecco Santi was captain of the Vinci army and betrayed the town for love of a noblewoman. For this reason he was condemned to be thrown off the tower of the Conti Guidi’s Castle and granted a pardon if he survived the fall. As last wish he asked to drink a glass of good Vinci wine, which might have to do with his miraculous escape, because apparently when he was thrown off the tower he flew to the hill in front of the castle and survived! That year the harvest was plentiful and for this reason every year, as a propitiatory rite, the flight is commemorated. And I thought Guy Fawkes was bloodthirsty! The evening ends with a spectacular firework display and Vinci returns to normality. 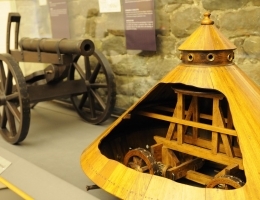 A great opportunity to come to town and visit the Leonardo Museum divided between the Castello dei Conti Guidi and the Palazzina Uzielli, including working models of the Genius’ machine designs, constructed according to his drawings. The moment for a break in Chianti with its gently rolling hills, vineyards, cypresses, stunning castles and charming farmhouses. Here are our choices of holiday villas in Chianti. 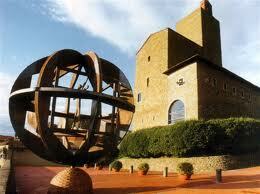 For more info just contact us through www.tuscanyholidayrent.com. Questa voce è stata pubblicata in Culture and accommodations in Tuscany, Festivals and feasts in Tuscany, Folklore and accommodations in Tuscany. Contrassegna il permalink.